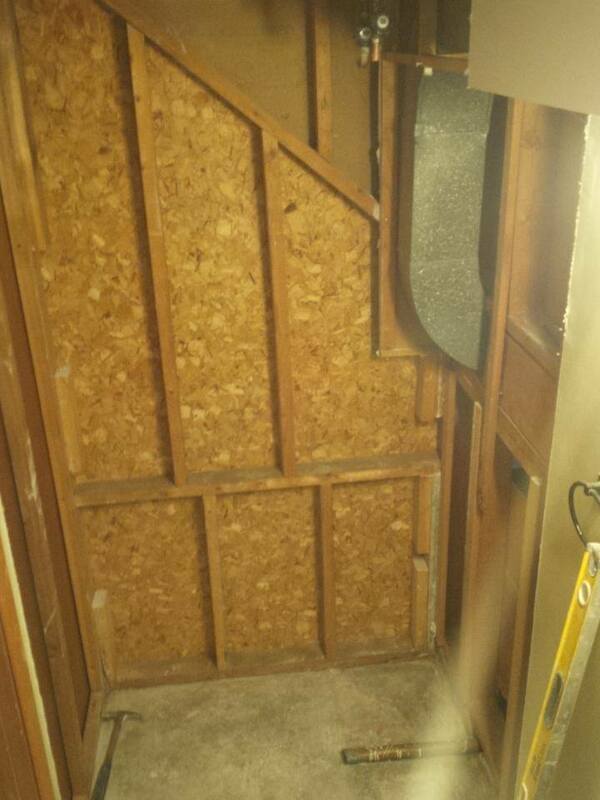 Previously there was an extra small, mostly unusable shower, heat duct and a linen closet in this space. We customized and relocated part of the duct work , lowered the shower base, relocated the water supply and shower head, installed the new drain properly and created a practical, custom built shower. 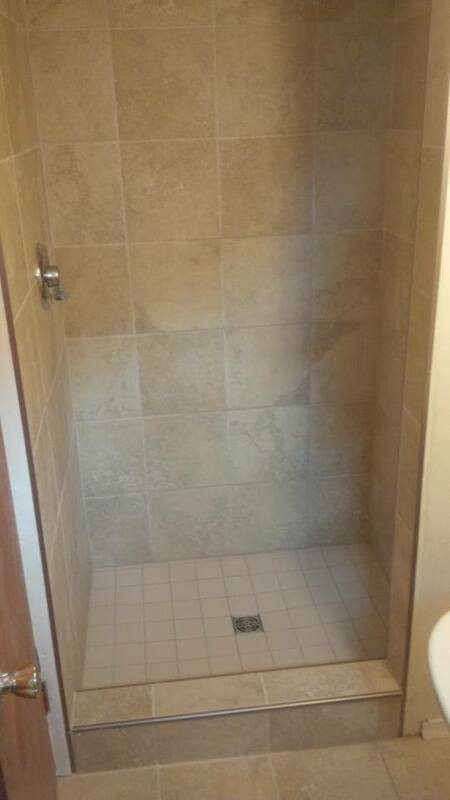 We completed the shower with a tempered glass door and a matching tile floor.